Here we are, folks. The end of another year, one filled with all sorts of stuff that generally happens during a regular year: births, deaths, praises, criticisms, memes, scandals. It’s been a year of sad endings and new beginnings, even for those of us around the Let Us Nerd office. 2012 has been nothing if not eventful. As per usual, SPOILERS ABOUND. Gail Simone and Batgirl team up again! Writers come, and writers go. That’s what happens at bigger comic companies who have company-owned titles (DC, Marvel), not ones that specialize in creator-owned heroes (like Image). That’s why we get things like Grant Morrison writing random bits of Batman stories, or Alan Moore’s 24 total pages of Green Lantern stories (even though he brought Mogo into the mix. Of course, on the other side of that coin, it’s how DC has been able to get away with the whole Before Watchmen series. But, we won’t get into that argument discussion right now. 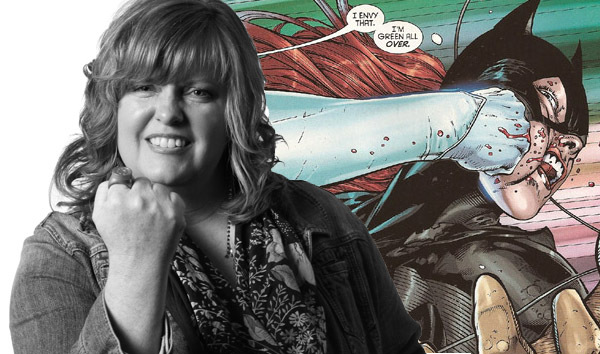 Gail Simone was one of the biggest names to be pulled from a title this year. (It was announced that Scott Snyder would be leaving Swamp Thing in a few months, but that was his choice.) The details that surround Simone’s removal from Batgirl got a bit fuzzy here and there, but it’s widely known she was notified by email. DC, that’s like breaking up with your girlfriend of a year and a half via a text message. Regardless, the backlash was huge. Theories flew around the Let Us Nerd office. Some thought it was a publicity stunt. Others thought it had something to do with hidden dissention in the DC ranks. A couple of us even had it in our heads that it may have been related to Batgirl’s imminent fate in the midst of the deadly “Death of the Family” story arc. However, we may all have been wrong. Within a week or so of letting her go, DC grabbed Gail Simone again. She was brought back on board for more Batgirl, which is honestly a wise choice. While I’m certainly not an avid Batgirl reader, Simone brought the standard of the comic up quite a few notches and did everything she could to get Babs out of the wheelchair and back into the skin-tight costume. In doing so, Simone brought the title onto the New York Times’ Bestseller List. It doesn’t matter whether Marvel and DC had similar ideas at roughly the same or Marvel saw how well DC had done with it’s post-Flashpoint continuity revamp, the New 52. It’s like the whole Man-Thing/Swamp Thing debate: it doesn’t matter how it happened, it just matters that it did happen. Either way, the good folks at Marvel saw fit to start wrapping up long-running titles and start from #1, and it brings around with it all the benefits of any continuity overhaul, like LCS launch parties, new readers, pissed off nerds that “have been there since the beginning and don’t like how things are going now,” but they’ll still buy their monthlies and complain about them online. Such is life in the nerd world. Many titles (Avengers, Captain America, Deadpool, Iron Man, Uncanny X-men, Wolverine) simply started over at #1 with little to no change, other than having new story lines for the readers to enjoy. I took this as my opportunity to pick up Deadpool and one or two others that I’ve been interested in starting up, which I realize is one of the main reasons for the relaunch. However, other titles held larger tweaks, or were completely new altogether. 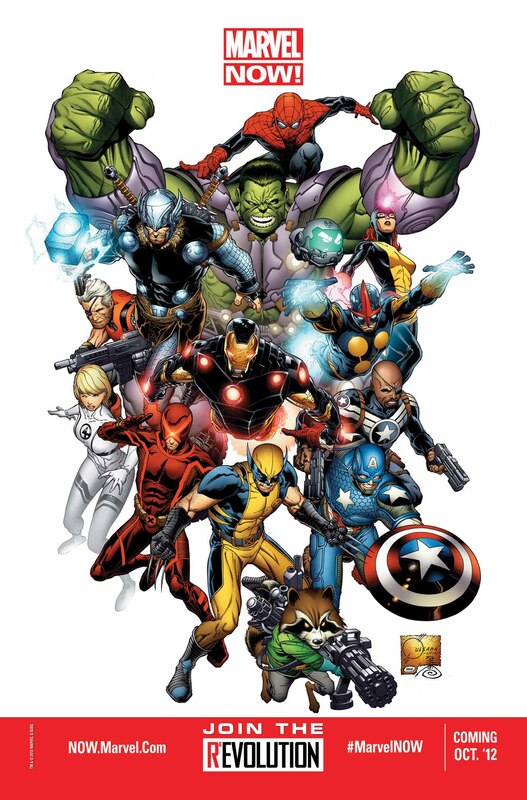 These included A+X (which chronicles the aftermath of the AvX story arc), Avengers Arena, Fearless Defenders, Indestructible Hulk, Savage Wolverine, The Superior Spider-Man, and Uncanny Avengers. One thing’s for sure. It’s a great time to add a few new Marvel titles to your pull if you haven’t already. Robert Kirkman is not one to stand on ceremony. He’s one to bring in a new character, make you fall in love with them, and 20 issues later, stamp them out like a dirty cigarette. Frankly, when a character survives more than 2 years worth of issues, it’s by some sort of freak accident or strange miracle. To date, the only characters that have survived for more than a few years are Rick, Carl, Michonne, Andrea, Sophia, Maggie, and Gle- oh, right. Issue 100 was a big deal, both in the real world and in canon. Mutlitple covers were designed and released from some of the industy’s bigger names. Many comic shops bundled the 8 normal covers together for one price. (If memory serves you, we just gave an 8-issue bundle to winner Katie Goodnight in our first Let Us Nerd giveaway.) The premium covers went for high prices to die-hard collectors. Glenn was a fan favorite from day one, and continues to be one on the television series. In the comic, he married his lover Maggie, fostered Sophia after the death of literally every single person who took her under their wing, and became a trusted member of the core group. Unfortunately, Glenn met a very gruesome end, one rough enough to make even me feel a bit unsettled, a true feat for any creative team. Negan, leader of a group that calls themselves “The Saviors,” took his favortie barbed-wire-wrapped-baseball-bat Lucille and precisely beat Glenn’s brain into a bloody pulp in the dark dust of the roadside, ending Glenn’s 99 issue survival streak. 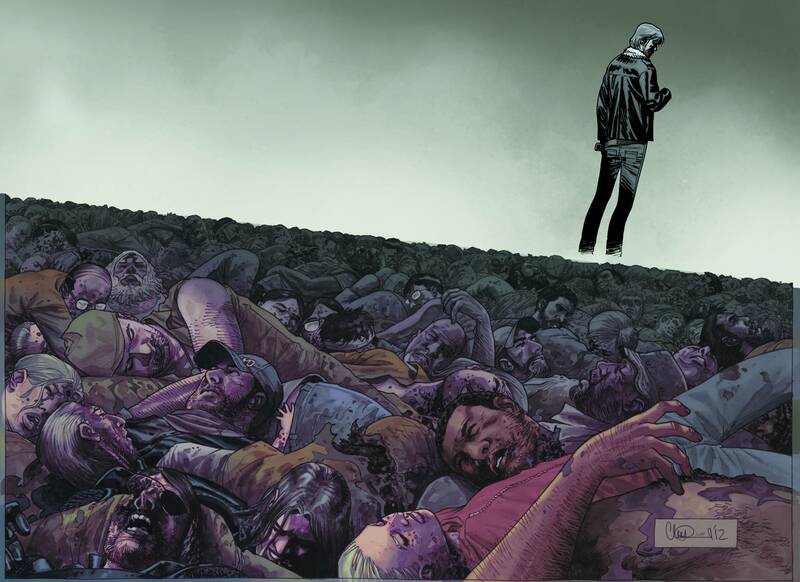 The outrage and response was bigger than any Kirkman had garnered yet, even with the deaths of Lori and Judith in issue #48, the multiple near-death experiences of Carl, or the entirity of the grueling, gruesome Governor story line. Congrats, Kirkman. You brought uproar to droves of horror fans. That’s no easy to do. 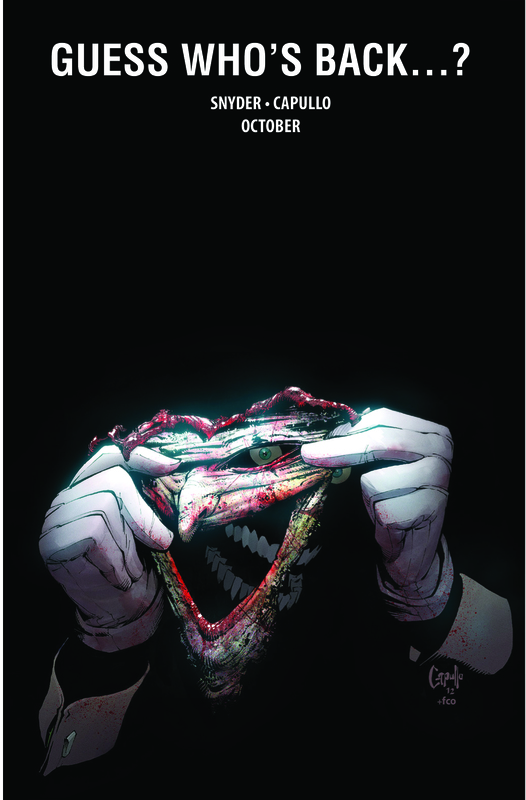 Joker disappeared almost completely at the end of last year’s Batman: The Dark Knight #1. If you remember correctly, Joker had Dollmaker cut his face off and claimed he was reborn. He vanished without a word or a trace. As I write, only about half of the story line has been published, but writer Scott Snyder has already forced the dastardly Joker to blind Alfred and convert Arkham into some sort of mysterious madman to hold a twisted party the likes of which we have never seen. Looks like we’ll have to wait till 2013 to find out Joker’s full plans, but this promise and the return of the biggest name in Batman villains is definitely enough to make my list. Dan Slott has been working on his run of The Amazing Spider-Man on and off for the last five years and has 73 issues under his belt. He’s been the head writer of Spider-Man for the past two dozen issues, meaning he essentially calls all the shots. And since he has written the 20 or so issues leading up to issue #700, he has been tasked with ending the spectacular decades long run of the best-selling and beloved Marvel title. Slott made a bold move with his final story arc, Dying Wish. In it, we find that Peter Parker and Otto Octavius have switched bodies during a recent and cunning move by Doc Ock. Doc sent one of his golden spiderbots to attack Spider-Man during his last battle with Green Goblin. The bot was able to give him access to Spider-Man’s helmet that he had created to stop Doc Ock previously, giving Doc Ock complete access to Peter Parker’s mind. Octavius managed to switch minds with Parker without Spidey realizing it, and when Doc Ock woke up in his maximum-security cell at The Raft, it was instead Peter Parker inside his body. Parker managed to enlist some of Ock’s own super villain buddies to help them escape in an attempt to capture Ock and return his mind to his own body. Peter failed, and his mind died in the body of Otto Octavius at the end of issue 700. 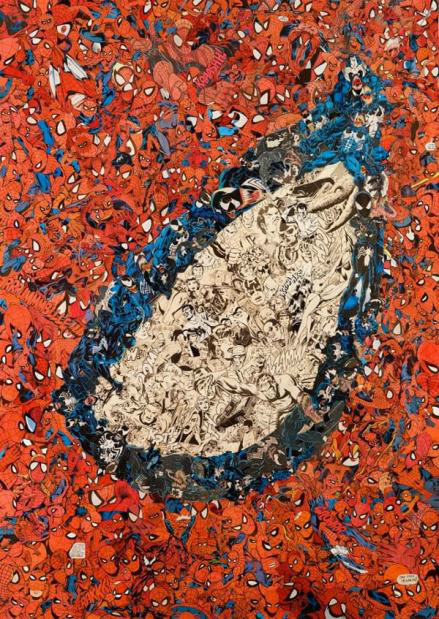 At first glance, Peter Parker’s death may seem more than just a little dismaying to not just Spider-Man fans, but most anyone who reads comics in general. Even those who don’t read comics now, but grew up with names like “Spider-Man,” might be more than a little upset at hearing the news of Peter Parker’s death. However, as you get closer to the end of issue 700, you will find that the memories and feelings of Peter Parker begin to saturate the brain of Otto Octavius, making him less the twisted, evil genius that we’ve known for decades and more a dark, conflicted hybrid of Doc Ock and your friendly neighborhood Spider-Man. I’m sure Slott has plenty of good reasons for ending the long-running title the way he did, and I assume that we will learn his reasons in the coming months as Marvel starts to release a new Spider-Man title, The Superior Spider-Man. But, it won’t release this year, so I can’t comment on it now. And that, my dearest friends, readers, and nerds of all walks of life, is the comic book world of 2012 at the quickest glance possible. I’m sure some of you will find quarrel with the list. You may wonder why Before Watchmen did not make the list, or why Avengers versus X-Men was not mentioned. Well, this may have been pretty important, but it’s my list, and I say what goes. AvX was important in that it restored mutant-kind, but something about it left me wanting a little more. The whole thing just seemed a little too predictable for me. As for the controversy that surrounded Before Watchmen, it’s not exactly the most important thing that happened in the world of comics this year, but the story is an extensive one, one that needs much more research and the dignity of its own post. The list is by no means comprehensive, and you’ll probably have some kind problem with this list, but that’s fine. We’re nerds; that’s what we do. Feel free to leave your ideas in the comments at the bottom of the page.